It’s fair to say that if you don’t know your Klingons from your Quarks then the Star Trek Exhibition in Blackpool is not for you. If however you like star trekking across the universe (only going forward because you can’t find reverse), like going boldly, or even if you’re going baldly Jean Luc Picard style, then set phasers to fun. Its time to beam me up Blackpool for the Star Trek exhibition. Logic, like Spock, dictates I must attend, because resistance is futile. You’ll be familiar with Star Trek and its mission to explore strange new worlds, to seek out new life and new civilizations and go to war with them, to boldly go where no man has gone before, shagging a countless variety of alien life form. Captain Kirk’s manliness Earth’s main ambassador. There is the temptation to write this entire post in the voice of William Shatner, or who some Trekkie fans would lovingly call “The Shat.” That is to say, speaking as though every word was a sentence, try it. Space. The. Final.Frontier. These. Are. The. Voyages. Of. The Star. Ship. Enterprise…..see what I mean? 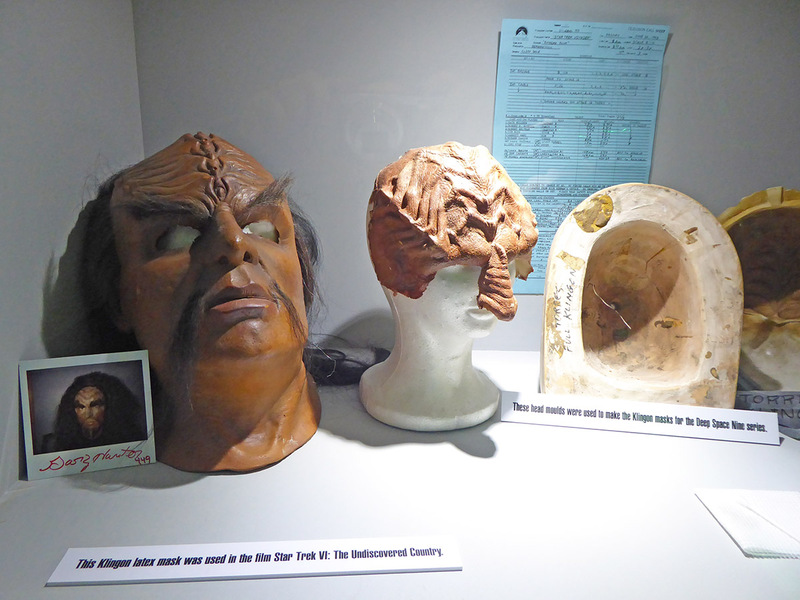 This exhibition is one fan’s private collection of memorabilia containing costumes, props and scripts from the 50 year history of the Star Trek franchise. An original Tribble, not surprising considering the number, a Borg body, command consoles and other notable props and costumes worn by the famous intrepid crew. Complemented by the fact that you can use an augmented reality to turn your mobile phone into a Tricorder to scan points along the exhibition. 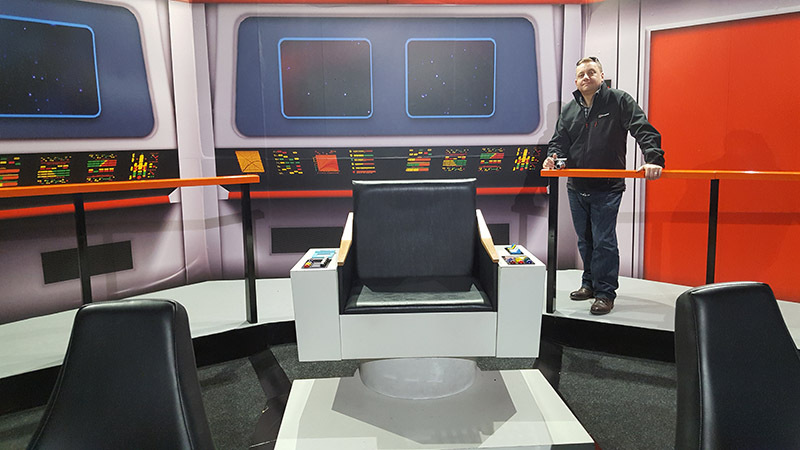 Your inner Trekkie trembling at the sight of Star Trek set pieces with a recreation of the bridge from The Original Series for you to command the USS Enterprise in Captain Kirk’s chair. Something I’m sure many men seeing this will be aching to recreate in their sheds. 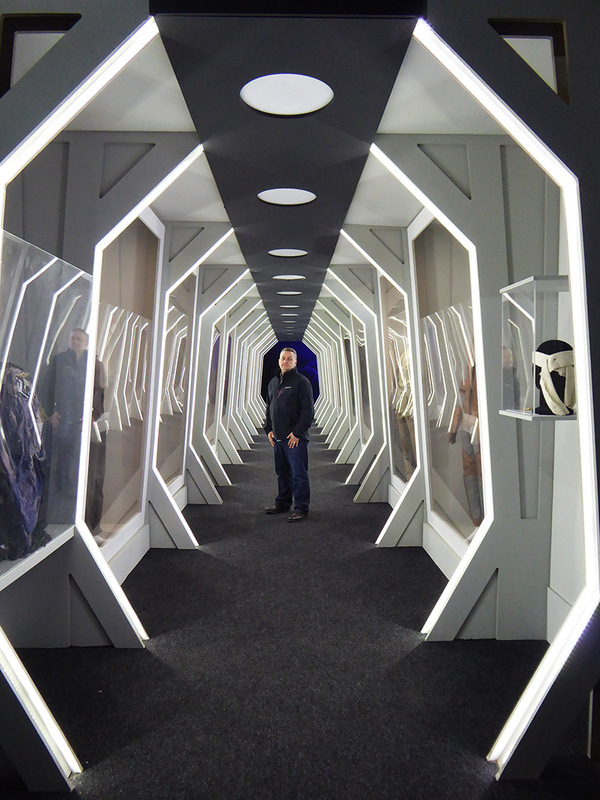 You also get your own Beam Me Up Scotty moment in the transporter room with the augmented reality app on your phone although we had a few troubles with Tribbles trying to do it. We gave it a Vulcan salute but Star Trek exhibition in Blackpool won’t live long and prosper for much longer as its due to close in November, see it while you can.